It was a year that promised so much for Pakistan, yet it ended with little to show for on the football pitch. 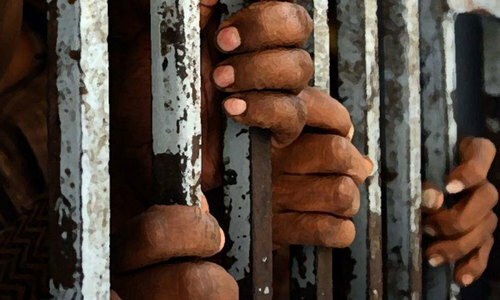 There was more action in the courts with a protracted case being fought out between the two factions of the Pakistan Football Federation (PFF), formed in acrimonious circumstances. It could’ve been played out so differently and fans of Pakistan football could be forgiven for thinking what might have been. As it stands, though, Pakistan don’t have a competitive senior team fixture until 2019. It could be argued that one bad performance led to that debacle, but there is more perspective to that. It happened because of a naïve coach, lack of planning and lack of direction. Days before the end of last year, PFF secretary Col Ahmed Yar Khan Lodhi claimed qualification for the 2018 FIFA World Cup “was never on the agenda”. Qualification wasn’t a realistic goal anyways but with the Asian Football Confederation (AFC) having altered its path to Russia 2018, merging it with qualification for the 2019 Asian Cup, it offered Pakistan a chance to gain vital experience by rubbing shoulders with Asia’s footballing heavyweights. They obviously had to first negotiate a two-legged first-round playoff in March to advance to the second-round group stage. PFF geared up for its presidential elections in June, amid rumours of government interference, Faisal Saleh Hayat (l) faced the biggest challenge to his seat since 2003. They failed after a disastrous showing against Yemen in the first leg, which they ended up losing 3-1 thanks to huge tactical blunders by head-coach Mohammed Al Shamlan of Bahrain. A goalless draw in the second leg saw Pakistan dumped out of the running for the World Cup in Russia as well as the Asian Cup, a year later. Shamlan’s decision-making was found wanting to say the least. The coach, who was given to the PFF on an all-paid basis by AFC president Sheikh Salman bin Ebrahim Al Khalifa, showed exactly why he was ‘gifted’ to Pakistan. Shamlan gained experience on his CV – and that to as coach of a national team. He merely need to get Pakistan through the first-round qualifier. He would’ve left with a legacy. Instead, the man who argued he was “far-sighted” by focusing more on the U-23 team, left critical of the way the federation was run. Maybe he was right. The whole situation could’ve been avoided if the PFF had been a bit smarter in improving the national team’s FIFA rankings. With Asia’s bottom 12 teams, according to the rankings, going into the draw for the first-round, a well-planned strategy with a good number of friendly matches could’ve improved the team’s position. Regional rivals Bangladesh did that. Their improved ranking meant they went directly into the second round, drawing Asian champions Australia and played them at home and away. Although they were hammered 5-0 in Perth before losing 4-0 in Dhaka, it’s given the Bangladesh football team something to build upon. 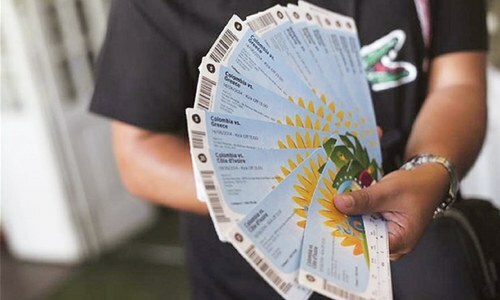 India managed to negotiate the first round, ending up being drawn against Asia’s top-ranked side, Iran, in their group. All that meant Pakistan football’s only hope of salvaging something on the pitch was the SAFF Cup, which kicks off on December 23. The drawn-out court battle meant Pakistan are going to miss out on that too. “They are never serious about football,” a disappointed Pakistan captain Kaleemullah said following the news of the withdrawal. Maybe, if Pakistan had achieved something in the World Cup qualifiers, PFF wouldn’t have been in the state it is at the moment. Qualification to the second round would’ve shown that Faisal Saleh Hayat’s 12 years in charge of Pakistan football had brought some change. Instead, as PFF geared up for its presidential elections in June, amid rumours of government interference, Hayat faced the biggest challenge to his seat since 2003. It all began with a farcical election of the Punjab Football Association, the Hayat-backed Sardar Naveed Haider Khan toppling incumbent Arshad Khan Lodhi – who saw several of his voters banned by PFF’s illegal disciplinary committee. It saw a former friend, Zahir Ali Shah, a PFF vice-president, turn on Hayat, announcing his intention to run for PFF presidency. Another row then emerged with the challenger claiming that Hayat had changed several clauses of the PFF constitution to suit himself in the presidential election. The PFF eventually split into two groups following an Extraordinary Congress meeting that suspended Hayat, despite not having that on its agenda. With the election fast approaching, the two factions announced their own election venues. And finally, the Lahore High Court (LHC) intervened, ordering a stay on the polls until other matters were resolved. The row intensified when the Hayat faction went on and held the election. The LHC, meanwhile, appointed an administrator to run the PFF affairs and as the row escalated, world football’s governing body FIFA, mired in crisis of its own during this year, sent a fact-finding mission. 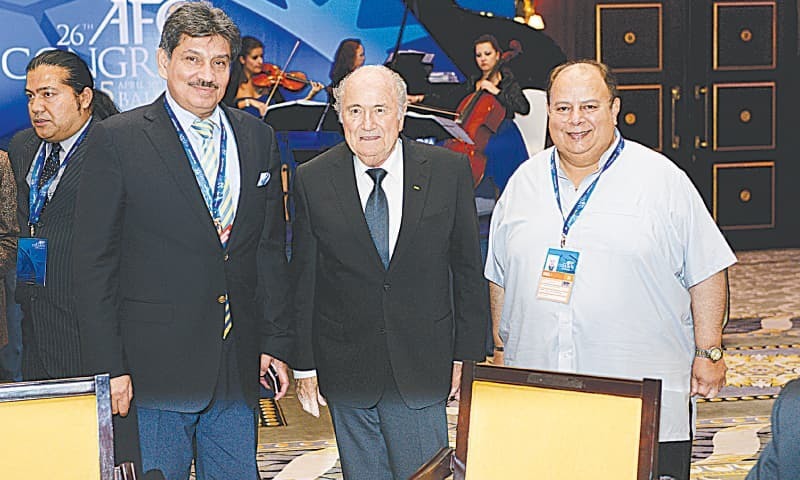 FIFA eventually announced that it had given Hayat a mandate for two years in which he has to amend the PFF statutes and form an independent disciplinary committee before holding elections again. The LHC-appointed Administrator, meanwhile, stays as the courtroom battle continues. With the court ordering that any football activity in the country would be managed by the Administrator, the Hayat faction swiftly withdrew the Pakistan team from the SAFF Cup. There was no solid plan to send the team to South Asia’s marquee tournament in the first place. Since Shamlan left in June, the PFF never formally announced a head-coach to take over the team. Instead, other irregularities have surfaced over the last year including unfinished Goal projects, a flood relief project which never started, non-payment to coaches and illegal sale of 2014 World Cup tickets. 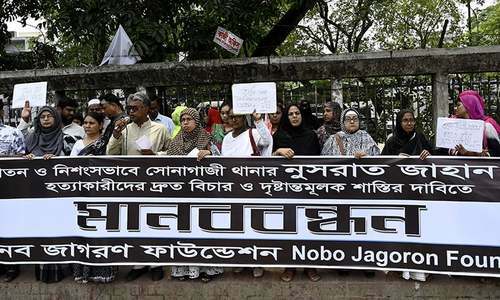 While the PFF remained in an imbroglio, there was very little to cheer for. Fresh from winning their maiden Pakistan Premier Football League (PPFL) title this season, K-Electric stand one game away from making history. A victory against Bahrain’s Al-Hidd in a single-game playoff in February will see them become the first side from the country to reach the group stage of the AFC Cup – Asia’s second-tier club competition. “We’ve come very close to achieving a unique feat,” K-Electric’s departing sports head Zabe Khan told Dawn. “I’ll try my best to make proper arrangements before I leave so that the team indeed is able to create history for Pakistan football,” added Zabe, whose side negotiated a qualifying playoff to reach the final playoff. While Zabe departs the scene following six years at K-Electric in which he transformed the side from also-rans of Pakistan football to one of its biggest teams, Kaleemullah will try and regain his scoring boots. 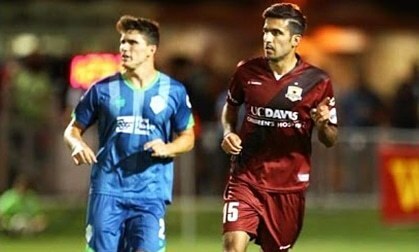 Kaleem became the first Pakistani to sign for a professional side in the United States when he joined Sacramento City in June. 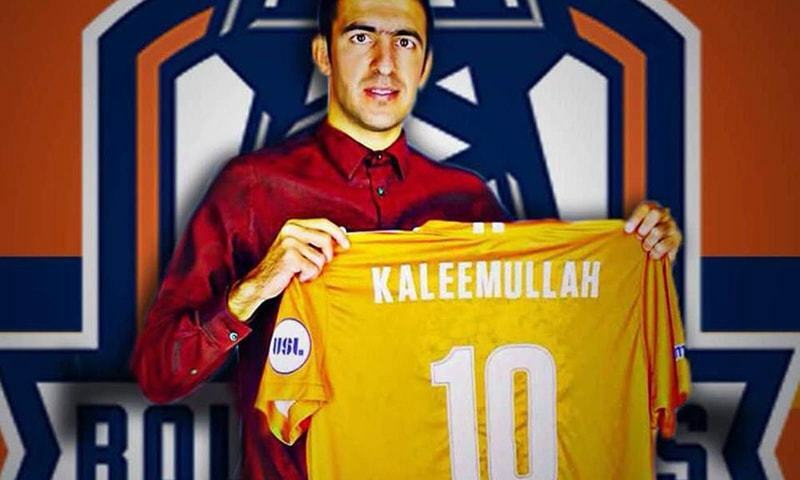 But despite an ill-fated spell, Kaleem impressed enough to get a contract will fellow United Soccer League Pro side Tulsa Roughnecks for next season. 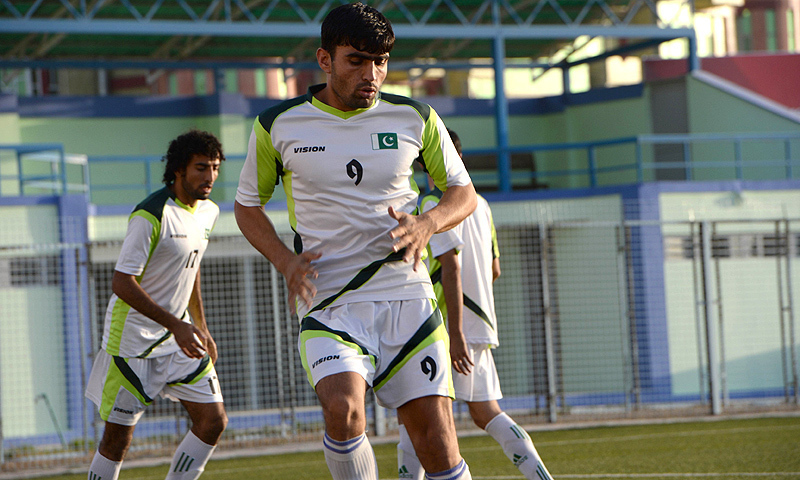 “It’s been a disappointing year for Pakistan football,” he told Dawn. Need operation clean up in football affairs. Where is the government? Where is the court? These groups don't operate in tribal areas. How can pakistan football thrive with a coach who got his position due to safarish?